Creating a label for any product is never an easy task, especially if you’re working in an industry with stiff competition (such as the soft drinks industry). If you’re working for a large corporation with a huge budget, things are likely a bit easier, but if you’re on a limited budget (perhaps you’re working for a start-up), product label design can quickly eat into your budget. What’s more, if you don’t choose the right designer for the job, you’ll have very little to show for it at the end, even if you’ve pumped hundreds (if not thousands) of dollars into the perfect label design. But, if you can somehow pull-off your product label, sales can skyrocket. Below, I’ve put together a list of some of the best product labels I’ve found on the web, with the hope of giving you some inspiration for your own label design. Not only kids but even adults love to start off the day with a healthy breakfast and a jam bottle is the first option to go about. The jam packaging has to be tantalizing probably reflecting the taste and flavor of the jam from its jar/bottle. 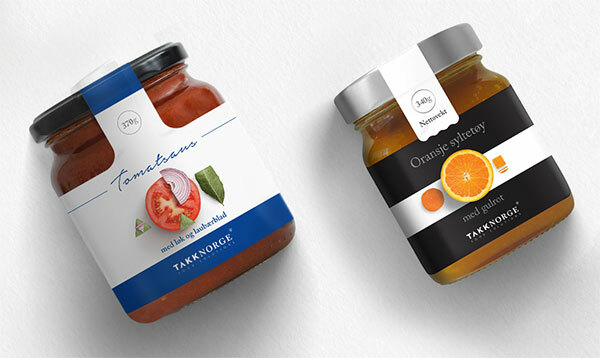 This TAKK NORGE jams packaging is a stunning depiction of taste and savor. 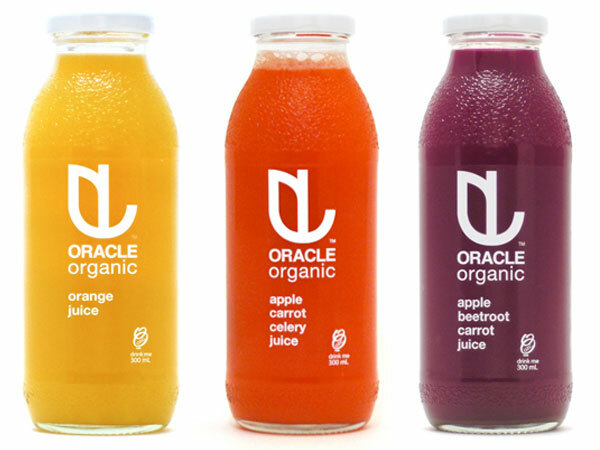 Oracle Organics is an Australian producer of organic juice, whom – after being in production for a little over a year – sat down with design agency, Fenetik Design, to completely revamp their product labelling. 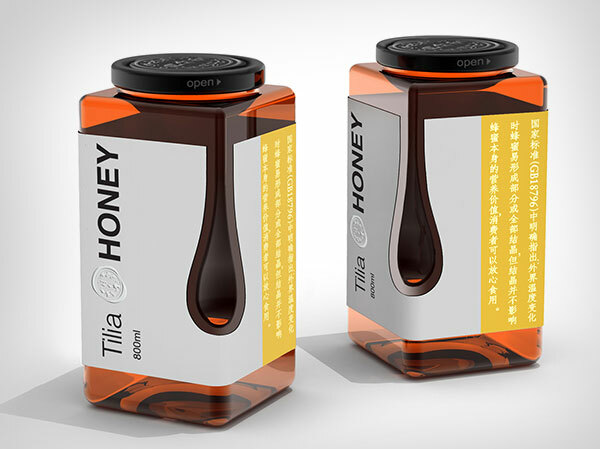 The previous product label consisted of an opaque, patterned design, and Fenetik Design quickly made the decision that their new labelling should allow the vibrant colour of the product to shine through. The result is what you see above: a minimalistic, transparent label featuring nothing but plain, white text (note: you can get transparent bottle labels like this from FastLabels.co.uk if you like this design). The transparent adhesive labels allow the natural colour of the juice itself to dominate the design. Keen Fruit is yet another fruit juice brand, but they’ve taken a completely different approach to product labelling (when compared with Oracle Organics above). 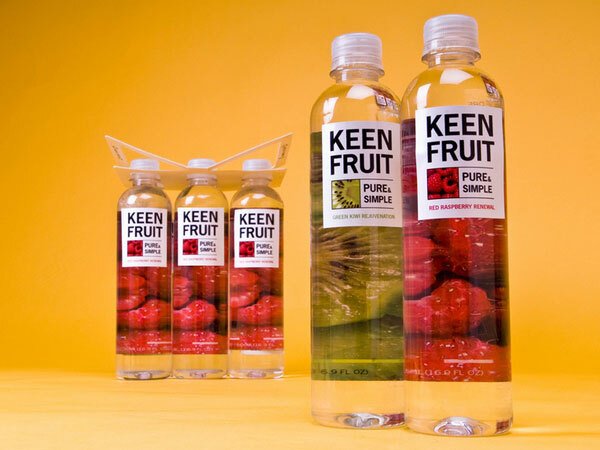 Rather than opting for a completely transparent design, Keen Fruit has instead opted to add vibrancy to a translucent product via the use of colourful photography on the product label. The colour palette of the labels was kept purposefully clean and simple (i.e. predominantly one colour), in order to “accentuate the fresh, sophisticated feel of the product”, according to their design agency. For some of us, tea is like air without which we cannot breathe. 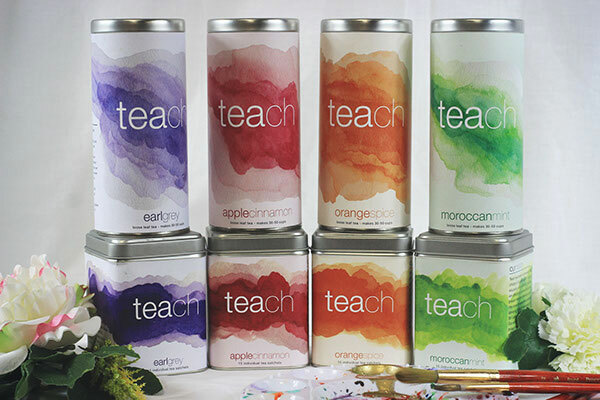 This Teach Tea packaging design reflects the variety of flavors they are offering, different colors are used to show vitality and various savors to choose from. Honey dripping from the bottle is giving out a very appetizing look in this Tan Ren honey bottle. This packaging design is mouthwatering and certainly bottle grabbing. A designer should keep these elements in mind while making the packaging designs of eatables and beverages. 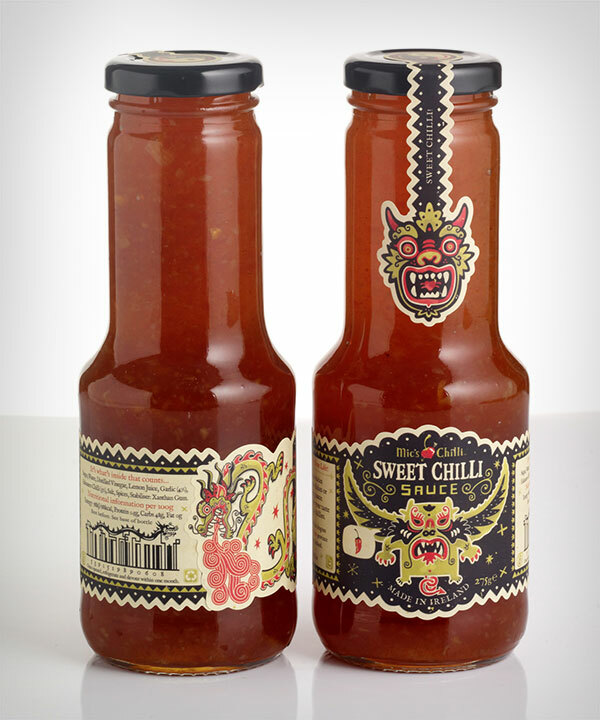 This chili sauce bottle is carefully crafted reflecting the sizzle and spicy sauce packed inside the bottle. The packaging is giving the impression of it being sour, salty and saucy. This is the trick to behold the attention of the consumers so a designer can follow up this trick while making a chili sauce bottle design. 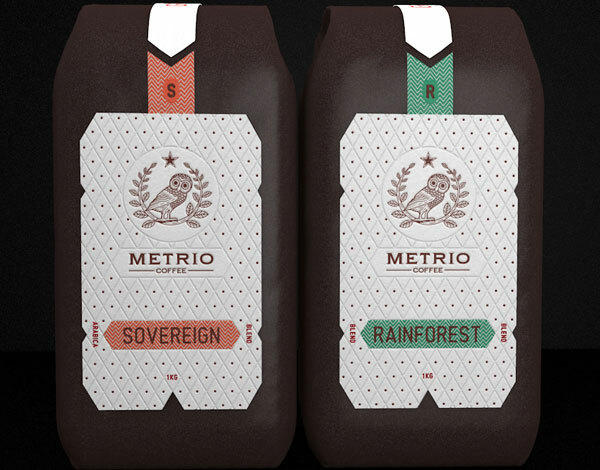 Metrio Coffee is an Australian brand that produces high-end coffee for consumers; their product labels are certainly stunning to say the least. The labels were actually designed with the attributes of the product in mind; rich, delicate, clean and strong – everything a great coffee should be. Every label (for each coffee in their range) makes use of a different colour scheme, although the overall design stays consistent. The labels were also printed using a letterpress printing process, which further helps to give them a premium look and feel. Because our pets too need caressing and royal treatment so the products that are meant for pets should be loveable and endearing. 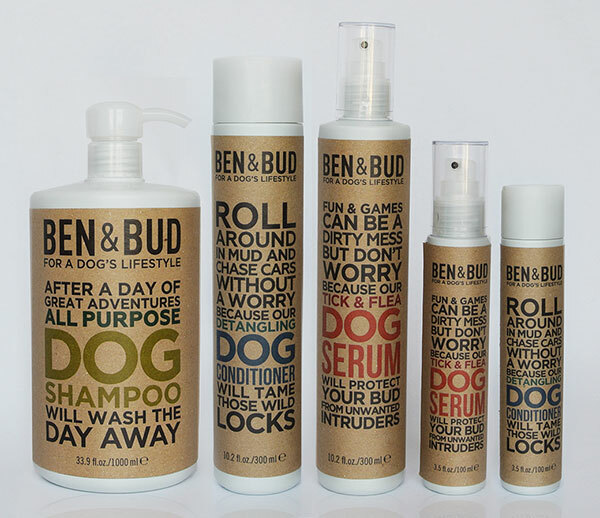 In this Ben Bud petcare shampoo/conditioner packaging design you can see the art of typography is being implied which is making the bottle sophisticated, attractive and sleek. The classy look of this packaging design is showing the quality and standard of the product, what a nicer idea to put typography all along in the design this way. 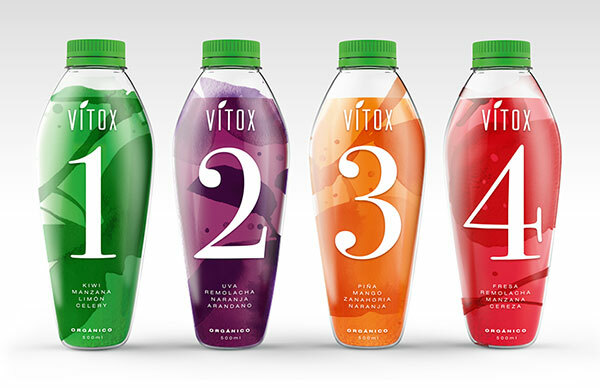 Vitox which is 100% organic juice offering different tangs to detoxify the toxics in your systems, the bottles have some striking packaging designs. Certainly delectable and lip-smacking. The all 4 flavors are being numbered on the bottles as a reminder which one to choose, it is a clever selling tactic by the maker. Zdravo Organic is yet another juice brand that takes a simplistic approach when it comes to product labelling. As you can see, their product labels are kept purposefully small and minimal, as the aim is to showcase the natural colour of the juice rather than detract attention from the product with a cluttered product label. 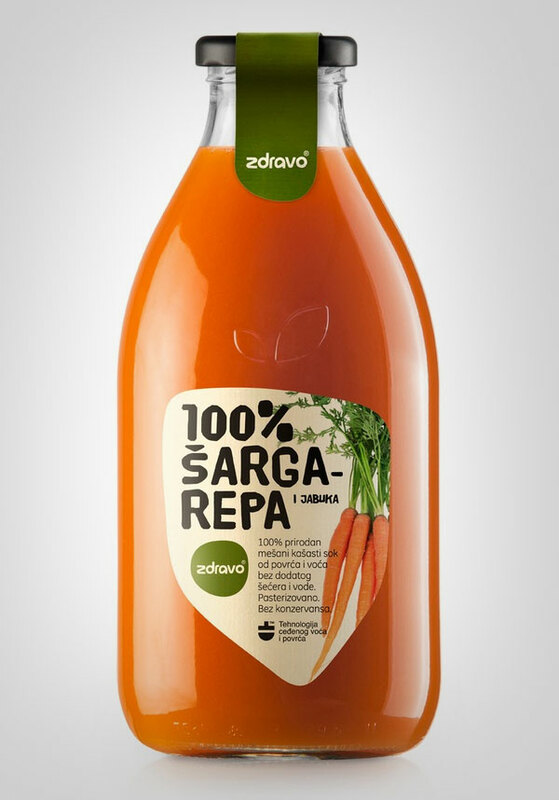 Despite the minimalism, Zdravo has still opted to include an image of carrots on the product label itself, most likely to make it instantly obvious to the consumer that the product is in fact carrot juice, rather than orange juice (or the juice of any other similarly-coloured fruit). What an awesome product packaging label designs collection, all of them is really dope, we’ve never seen that cool just for any package, Thank you!